Obsolete now... but it's listed and dowloadable from UNOwebsite and it worked a month ago... So how to solve now? Is it possible to open a discord channel too for Unobtanium support and community growth??? As of now, there are 2 people in the UNO Discord channel. I would love it if that increased to thousands. BlockDX decentralized exchange now supports UNO! Trade Unobtanium on BlockDX, and never put your rare UNO at risk of centralized exchange failure. The first trades occurred this week in the UNO/DASH pair on BlockDX. There is a bit of a learning curve, but you can do it. 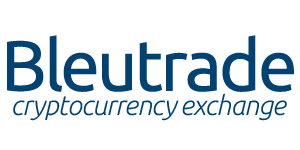 At this time BlockDX has a requirement to sync the chain of the coins you want to trade. For example, to trade UNO/DASH, I need a UNO client, DASH client, BLOCK client (with a couple of block to cover fees), and the BlockDX software. That's four pieces of software. In the near future, Block developers will overcome this inconvenience, but even so, it's manageable. Kudos to the Blocknet team for their hard work and innovation. I'm glad that UNO is an early adopter of DEX exchanges like Blocknet. UNO has dodged disaster several times (Cryptsy and Mintpal come to mind). Even while today, nothing beats the convenience of an honest centralised crypto exchange, it's important to support UNO's viable decentralized options like Blocknet and Bisq.nework. Cryptocurrencies are not stores of value, but they can turn people into stores of value. Now math can be money. We can all understand the math. That makes the human motivations around it as plain as the nose on your face. 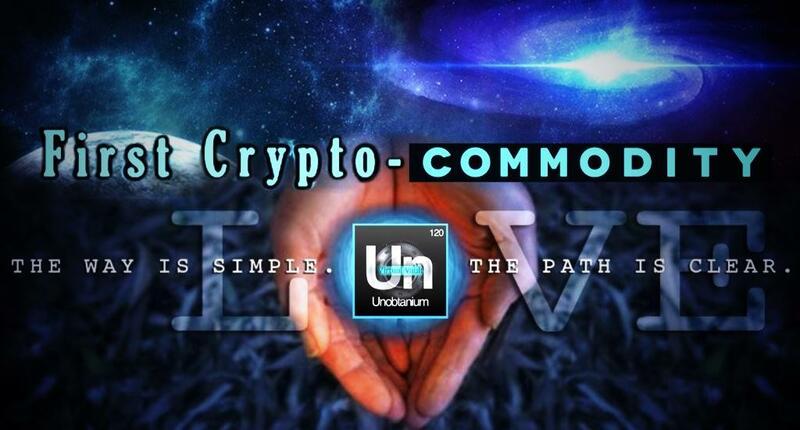 This discussion was started by members of the Unobtanium community as a moderated forum to share news, ideas, and resources about Unobtanium, an exciting and useful crypto-currency/crypto-commodity. Uno (aka Un) is rare, fair SHA256d, pure Proof of Work crypto-currency with fast 3 minute block targets and KGW difficulty adjustments every block. It was fairly launched October 18, 2013 by Blazr2. There was no pre-mine of Unobtanium, not even a single block, and no IPO. There is no POS inflation. The launch was an undisputed fair start, with low rewards of .001 Un the first 2000 blocks to give all miners a fair shot. Unobtanium's blockchain (aka "The Rockchain") has been consistently mined at high difficulty since it's launch. Block rewards began with 1 coin per block, halving every 100,000 blocks and finishing with a minimum subsidy of .01 Un. The final 250,000th Un will be mined in 2043, or 30 years. Uno is often referred to as a crypto-commodity due to it's rarity and desirability, and it's tendency to hold it's value even in a declining Bitcoin market. Uno has an active community, a trust-based exchange, a secure merged mined blockchain. Take a look at Unobtanium, and you'll quickly see that it is set apart from other cryptocurrencies in important ways, including low inflation, community, longevity, fairness, rareness, distribution, simplicity, security, and optimism. Uno is a different kind of cryptocurrency, and is well on its way to becoming the first cryptocurrency desired as a non-asset backed commodity. Other devs welcome to contribute. How to compile a Uno wallet for Linux. Does your wallet not sync? Read this. Uno is too rare and precious to give away. There are no faucets. Click here for vanity wallet instructions. 10 Altcoins that can't be neglected. Edit the file Unobtanium.conf and paste in the text below, making the appropriate edits where noted. If you do not find Unobtanium.conf, you'll need to create one by right clicking in the folder > new > text document. 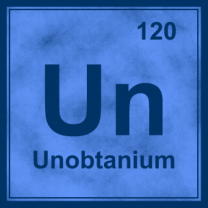 Click here to instructions on how to install a Unobtanium.conf file on Windows. 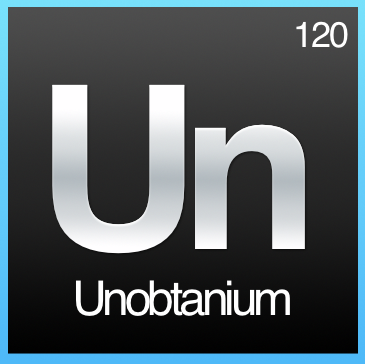 Click here for instructions on how to install the Unobtanium.conf file on a Mac. Back in 2014 before the scaling wars and before #Bitcoin became a “Store of Value”, the the rallying cry was “the democratization of money”. I wonder if those Maximalists who are new to Bitcoin even know this. “Store of Value”, was the rally cry of $UNO community from the very start (2014). I think the next thing people will realize about what is truly remarkable in regard to cryptocurrencies is because it democratizes - not decentralizes - the process of monetary policy. It so nice to see UNO doing awesome! Brings back memories working on UNO with FallingKnife! Please do let me know, if there's anything I can do with regards to development aspects. Wow, there's a blast from 2014! Have have you been doing, SoopY? What have you worked on lately? Thanks to four3200 for keeping this thread rocking. Happy New Year to all! UNO is going to have a great 2019! Wish you and the entire UNO community a very Happy and a Prosperous New Year. A blast indeed my good friend. I have been working on NAV since then but currently mostly consulting and working with communities on the CryptoWorld! How are you doing and everything with regards to UNO? Are there good instructions anywhere for installing the UNO linux wallet ? The mac wallet gets "tazed" by my Virus checker as soon as I try to open the drive image cos it thinks it detects "bot miner" trojans. 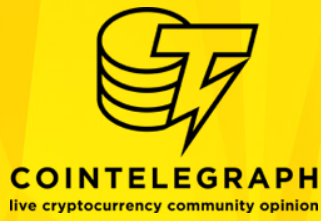 This coin might start to get serious soon as its performance against BTC has been stellar through the bear market and it will soon start to be identified by new market participants as one of the few "survivors" from right back in the dawn of alts. P.S. I see there's instructions here, but they're 4 years old. Do they still apply ? Be nice there was a desktop accessible forum. I'm locked out of Telegram cos only have a cellphone, no smartphone. You need a smartphone to signup. @above, sorry I'm not good with iOS. But those virus checkers block all RPC qts with the mine in wallet feature from way back in the day. Bitcoin rewards 12.5 btc per 600 seconds. $UNO demands around 4-5 seconds per day of BTC (daily reward supply) invested per day to save off inflation. Cheap life insurance? You bet! Imagine the average Joe buying full coverage for 10 sec of his time, fixed rate for ever, cuz that's in the code. Okay not "forever" but 20 seconds after halving, 40 seconds in 4 years after that, 1.33 minutes 8 years later, near 2.666 minutes 12 years later, and 5 minutes of the ASIC industries daily time round about 20 years from today. Sound OK? Now further on the btc-ASIC-industry need only invest seconds of their workday to support a product they get virtually for free along side their precious ore. Now add competition (for $UNO network security) via bCH & bSV pools doing the same. Let's ... btc-ASIC-industry needs ... Vision. Such as reinforcing $UNO as the store of value. How? Why? HODL $UNO when BTC is bullish, but sell the BTC. In reverse, HODL the BTC when BTC is bearish, but sell the $UNO to supplement mining costs. Else the only other option is fiat cash reserves, which is not very crypto-like. But true to blockchain ethos is the golden triangle of the sha256-ASIC-industry, aka BitMain Inc, is to store value ($-fiat) in $UNO in the summer months, and to store up BTC in the winter months. Why sell BTC below costs? Are there other SoV, yes, but not within the sha256-ASIC-chains, hence are not paid to sha256-ASIC mining operators. The magic is maximizing ROI that is for sha256-ASIC-industry and their fund managers to calculate. Right now, it is to the street level investor (whom lacks an ASIC factory) to get ahead of the game and to bring this concept to the table. Since it's on my mind. A few more thoughts on suggested projects for 2019. $UNO needs to up-date the white paper since that seems to be a key necessity of project evaluation. I would suggest we have several briefs. Strict definition of the UNO codex and fundamentals. Basically the BTC white paper plus AUX pow. Authored by the core devs for the core devs. "UNO the Store of Value for ASIC miners (And for wise Investors)"
See above, someone with technical writing skills and understanding of economics please apply, certainly a bounty to be earned. "UNO for the Common Investors"
Would address building the layers on top of Core, namely that which is built on BTC can be built on UNO, if needed or wanted. I would suggest current goal of building the DEX layer, see BLOCK and KOMODO and Square projects. But this paper also reinforces the conservative consensus of UNO community that HFs are a kind of heresy and the Code is the Law. And this paper highlights Classic Cryptos, which UNO is a proud and surviving member of the Dawn of the ALTsTM. We ought publish annual roadmaps for formal release. Which UNO community already does informally, and with a solid track record of meeting goals. Just review the last 777 pages. Final Remarks; "The Types of $UNO investors"
Sold BTC to buy UNO (but investor dilemma) will dump to gain more BTC. Sells UNO buys BTC/LTC/etc to act as reserve for gaining more UNO kgs. Sells expensive BTC to buy cheap UNO, and vis-versa, profit measured in fiat. All 4 types sell off BTC at the market $ top. Producers hold UNO, except at bottom of btc bear cycle. They are invested in hardware. Investors BTC sell UNO at start of btc bull. Investors UNO sell UNO when UNO stands at top of various base currencies, liquid stores of fat reserves, for the various inverse tops of said base markets. Investor Fiat buys UNO at the top of btc-to-$ markets and sells UNO at bottom of btc bear cycle. Hedges, UNO allows them to go fiat without trust in centralized peg (Bitfinex, Gemini, circle). In this manner UNO is an operational instrument compared to vaporware GNO. "Crowd Sourced Futures". Action in $UNO is preindicative of BTC/$/LTC/ETH direction. UNO already behaves in this manner, for those wise to pay notice.